Indie Retro News: Life on Mars - PC remake from a cool MSX2 game gets a demo! Life on Mars - PC remake from a cool MSX2 game gets a demo! It's another mention for Kai Magazine's PC remake of the MSX2 game ' Life on Mars ', as we've recently found out not only is the game available to buy, but there's a rather spiffy demo you can try as well. 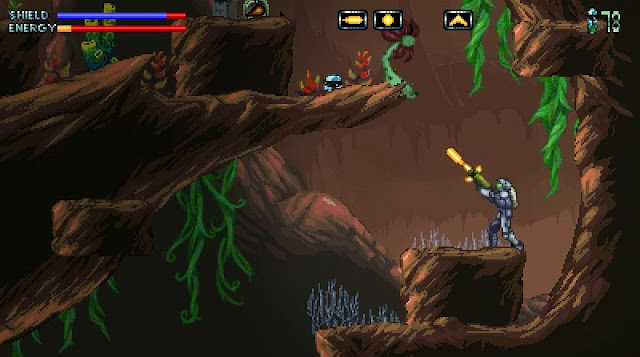 As we said before Life on Mars is an action platformer in a Metroid style that is set in the caverns of Mars on a mission to find out what happened to the colony that lost contact with the United Nations. 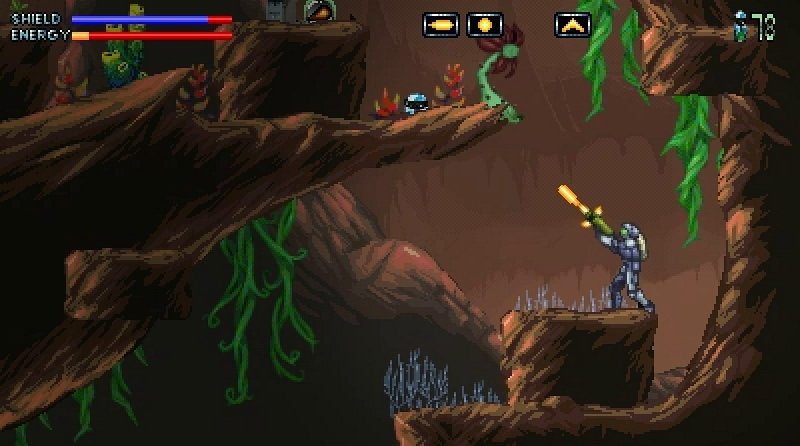 The game is inspired by 80's and 90's sci-fi horrors, with an old school feel and addictive gameplay. You'll be exploring, investigating, finding improvements to your suit, finding weapons and battling powerful mutants while also trying not to die horribly in a remake of the 8 bits MSX2 game of the same name, with a 16 bits look.